Have you ever wanted a quick reference for aging-in-place issues? Are you wondering how to incorporate some aesthetically pleasing designs into your projects? If so, the Aging-In-Place Design Checklists might be suited to your needs. 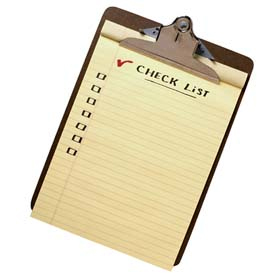 The checklists below contain features you may want to consider for your next new construction or renovation project. They also give you a quick reference for various aging-in-place issues. While these lists are not all-inclusive, they will get you thinking on the right track.